One of Nelsons Solicitors’ Independent Financial Advisers has been promoted to associate, as the firm’s investment management team continues to expand its reach across the region. Simon Thatcher joined Nelsons’ Nottingham city centre office three years ago and in that time has developed his specialisms in charity investments, life assurance, pensions and tailored independent financial advice. He now steps into the role of associate at the firm with more than 20 years’ of experience in the industry, and in his new position plans to develop the team’s charity offering further over the coming months. “I have really enjoyed my time at Nelsons since joining the firm in 2013. It is great to be part of a successful and growing investment management team and to have my contribution recognised by being promoted to associate is the icing on the cake. Authorised and regulated by the Financial Conduct Authority and the Solicitors Regulation Authority, the team works with individuals, family businesses, charities and corporates. 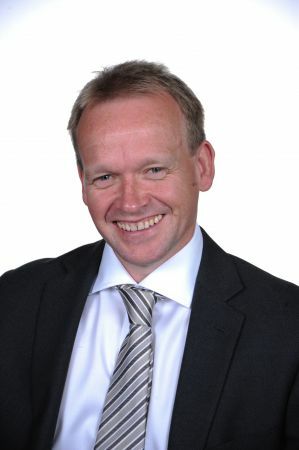 Partner at the firm and Chartered Financial Planner Andy Hammond said Simon, who has a diploma in Regulated Financial Planning and is a qualified member of the Chartered Insurance Institute, has a played a key part in the team’s growth and success. “I’d like to congratulate Simon on his recent promotion to associate at Nelsons, which is a culmination of hard work, dedication and passion for his clients and his job. “Our team’s defined and established structure is certainly appealing to clients, as we’ve seen a marked increase in new business since investing in team members’ development with particular specialisms – and Simon’s commitment to broadening and strengthening our charity offering is testament to that.